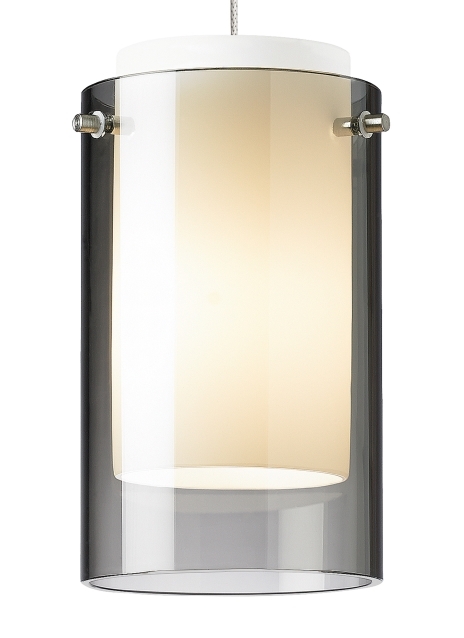 The Mini Echo pendant light by Tech Lighting is a timeless contemporary glass cylinder pendant. The modern silhouette of this pendant echoes an inner white glass cylinder to provide a pop of color while softly diffusing the light within. With five available on trend color options and high quality metal finishes the Mini Echo creates an exciting yet sophisticated look and feel to any space. Scaling at 7” in length and 4” in width this pendant is ideal for closet lighting, bath lighting flanking a vanity or even bedroom lighting. The Mini Echo comes with two fully dimmable lamping options, halogen and energy efficient LED allowing you the ability to customize the light tones to your desired ambiance.